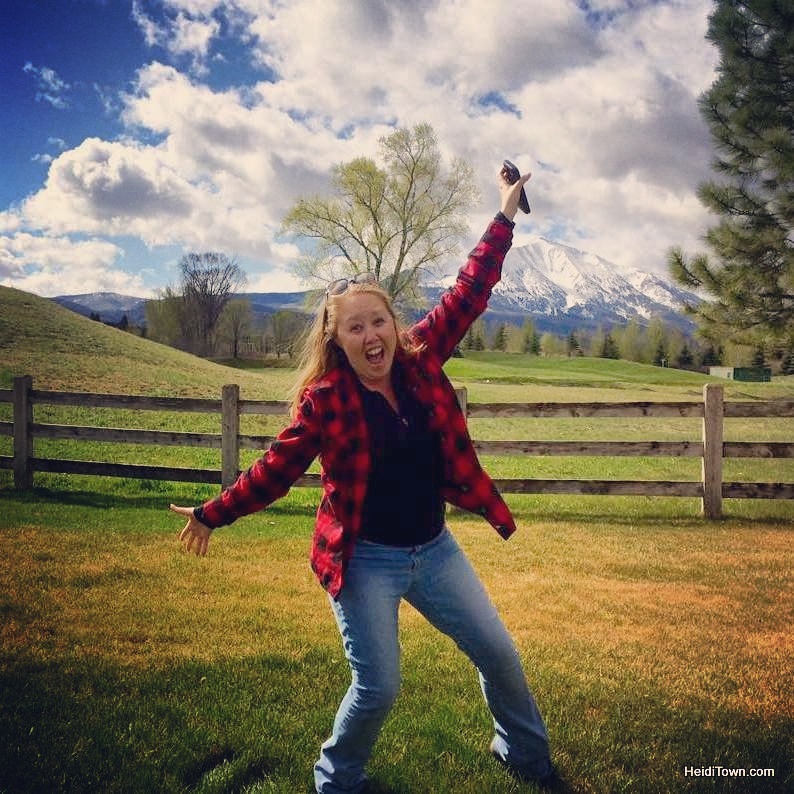 I can’t wait to write about our trip to Trinidad, Colorado. In the meantime, I’m going to share with you ten of my favorite photos from the festival that brought us to town. 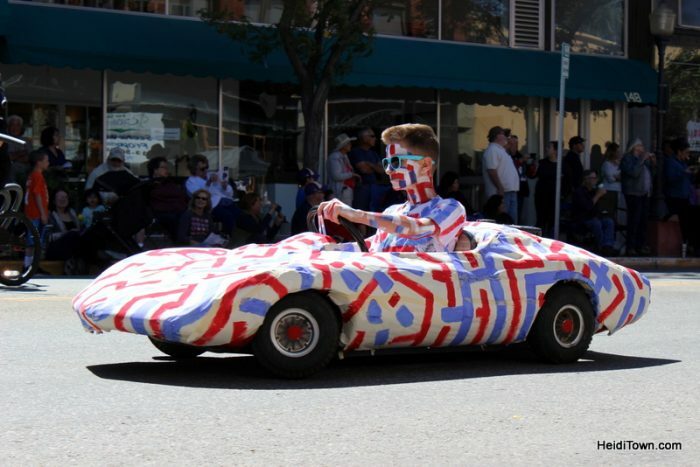 I was in town to cover ArtoCade, an art car extravaganza that was like nothing I’d ever experienced before. Nothing could have prepared me for the creativity on display at ArtoCade. 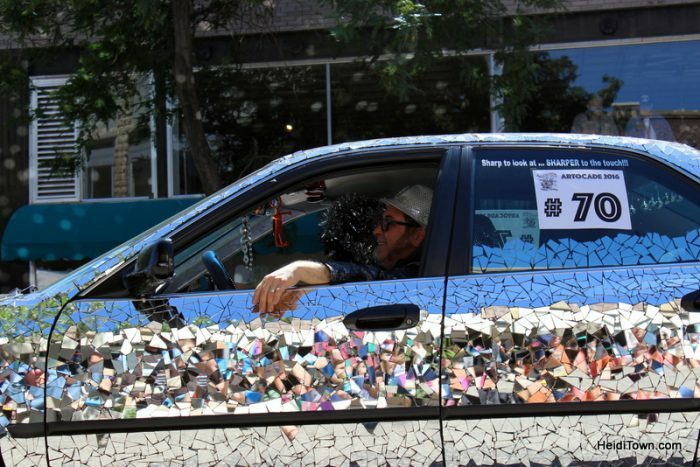 In it’s fourth year, ArtoCade brings people together from around the country to Southern Colorado – people who share the love of turning their cars into art pieces. Without further ado, here are ten of my favorite photos from the ArtoCade, the parade that was held on Saturday, September 10, 2016, in downtown Trinidad, Colorado. There were 83 entries, so choosing only a few photos to share was very difficult. Car #1 kicked things off. It’s, “Reincarnation” and was created by Fritz A. & Gail M. of Trinidad, Colorado. 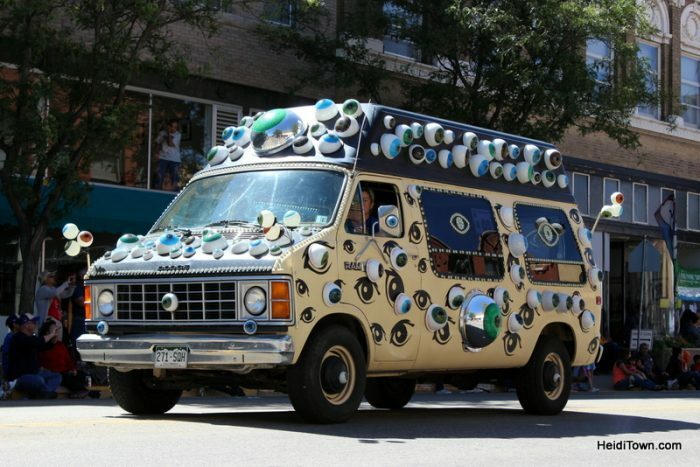 Event organizer, Rodney Wood, created the “EyeVan.” It will see you before you see it. Is this an art car or an art van? One of the best things about ArtoCade is that everyone is invited to participate. This is in no way an exclusive club. 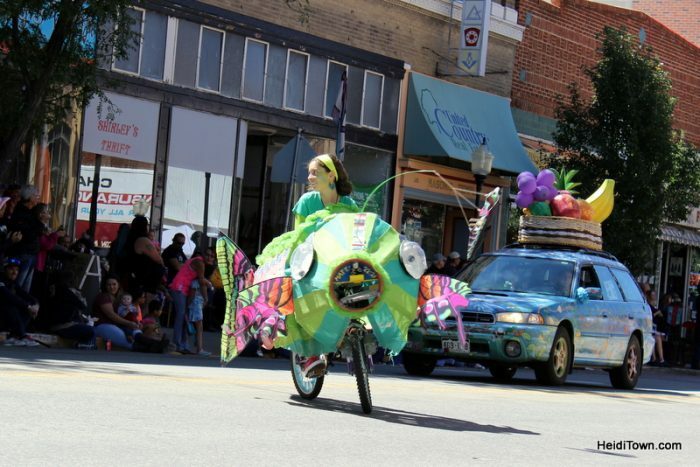 The following “Go Fish” artcar was created by Trinidad resident, Star Galbraith and it had all the right fishy moves. 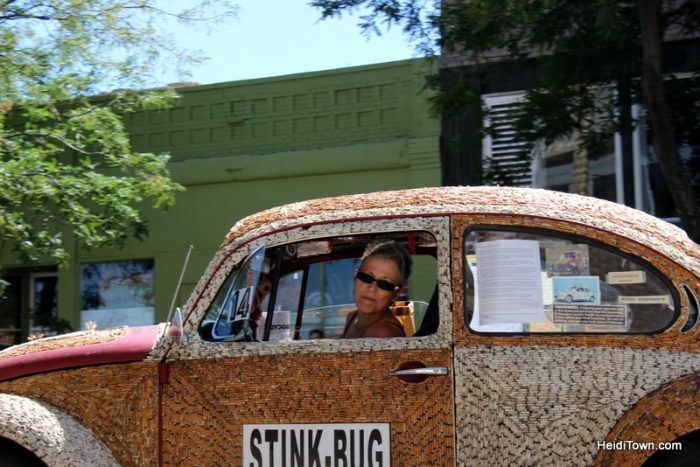 Ex-smoker Carolyn Stapleton of Albuquerque, New Mexico created the Stink Bug for ArtoCade. And no, she didn’t smoke all of those cigarettes and said it was quite easy to find more than enough to cover the Volkswagen Bug. A crowd favorite, Albert Carstein was created by the residents of the Trinidad Correctional Facility. I did say that everyone can participate! 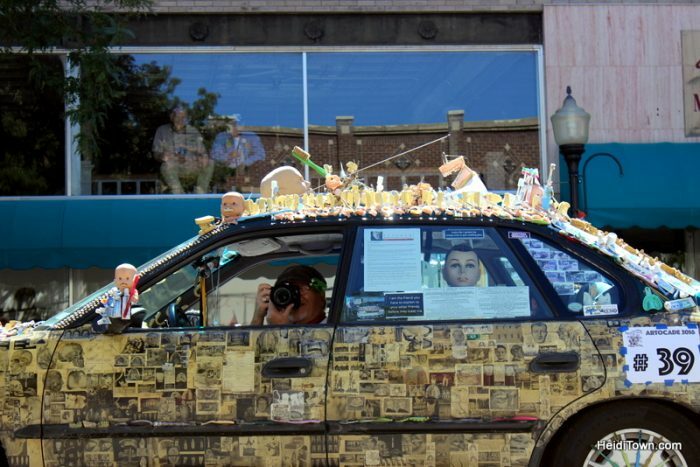 This was one of the creepiest of the creepy art cars at ArtoCade. Chewbaru, by Rex Rosenburg of Holsington, Kansas, was covered in all things related to the subject of dentistry. I’ve never seen so many retainers outside of my 1980s middle school class. Another crowd favorite, and winner of the Most Creative Award, was Cartoon Apocalypse by C. Wollard from Tulsa, Oklahoma. I love that a few kids got in on the fun. 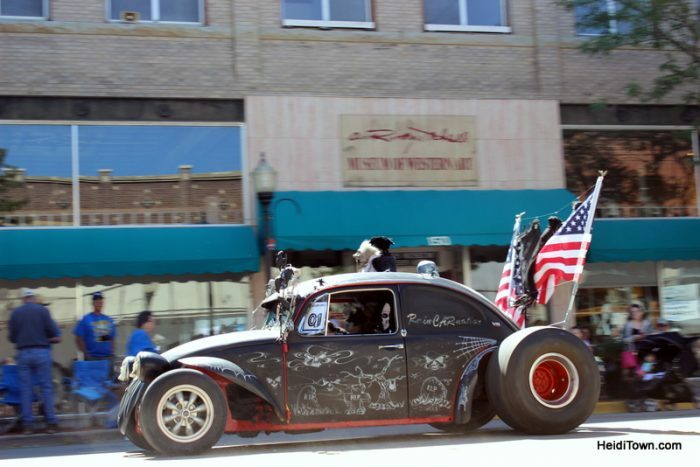 This is Mini-Mobile-Madness by Mihelich from Pueblo, Colorado. Check out the crowd’s reflection in Shattered Vanity by Nicole Strine of Houston, Texas. This art car was one of my favorites on the day. 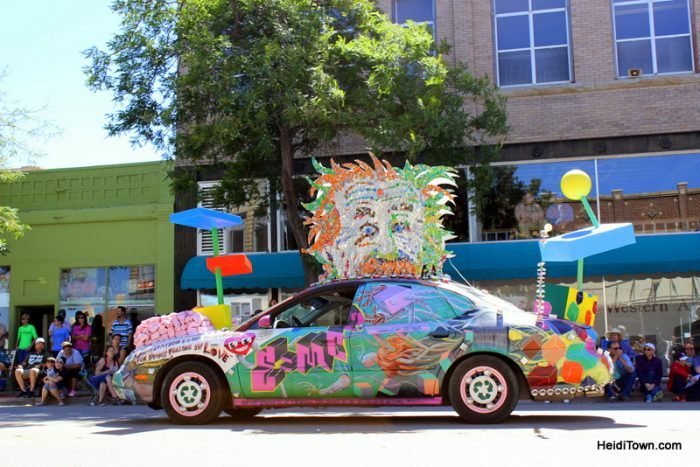 This award winning art car was created by Reagan High School Art Car Club (teacher, Rebecca Bass) in Houston, Texas. Imagine my surprised when I found that out at the awards ceremony where “Bohemian Rhapsody” took home a top prize. If you want to see more photos of art cars from ArtoCade, I’ll be uploading a few more to HeidiTown’s Facebook page at a later date. Click here to LIKE HeidiTown on Facebook. 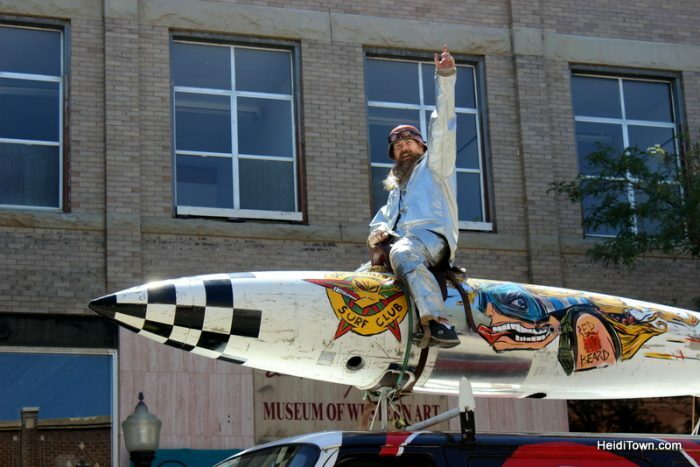 ArtoCade is held annually in Trinidad, Colorado in September. To learn more explore ArtoCade.com. 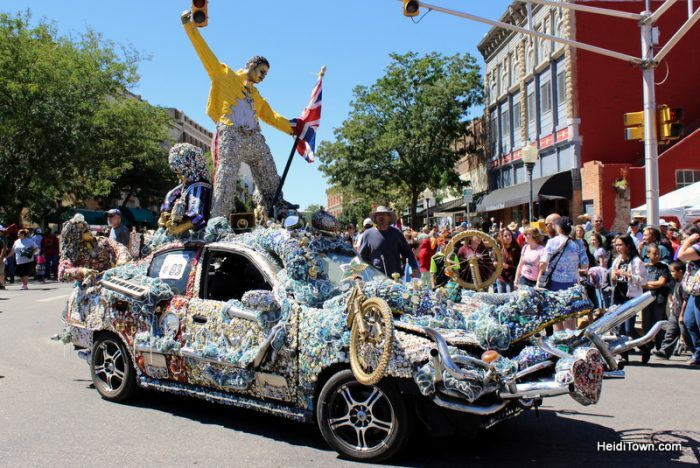 Hey Heidi – So glad you were part of the ArtoCade art car extravaganza…… It was absolutely carvelous to meet you and thanks so much for spreading the word to your Heiditown fans! Thank you for inviting me down, Rodney. Cartists are really amazing people. We had a great time at the event and exploring Trinidad. Great photos and a great write up, I attended for the first time with my Owl Car, and can’t wait to go back next year. 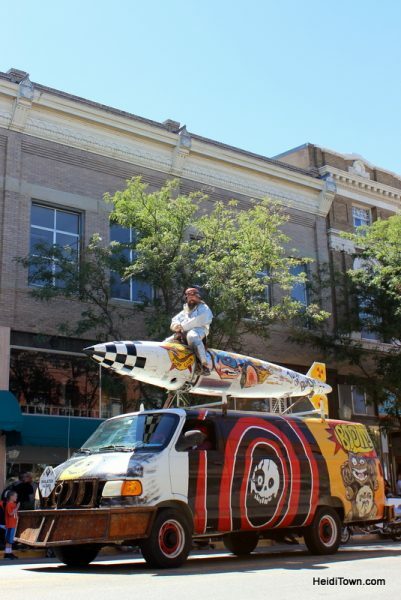 This festival current time, reminded me of my first art car event in Houston, Texas in 1993. It’s warm, wonderful and welcoming to all. That’s so cool. I took a photo of your car for a good friend of mine who collects owls. You’re right about this being a warm and welcoming event. I love how it is open to everyone no mater of race, creed or age. We had an amazing time. Very good overview of an outstanding event I’ve been able to attend with the ChewBaru all four years. I’m looking forward to the 5th year and each one that follows in Trinidad. I wonder what they paid you all to write such positive notes about Trinidad – a town actually in a state of “evil decay” for many years now. A town with no future for its youth, unless you want to be among the many who are selling drugs and legal marijuana and waiting around for its next victim to come by! A place that does not have a hospital to serve those who might have babies, >> go over state line to New Mexico for that. A fancy golf club built and then closed down shortly after. People moving out constantly to escape the hellhole Trinidad has become. Sure, buy property, come visit the cute little town, but beware of the boogeymen that come out at night! This town needs a “deliverance!” God help them, or if not, may it’s death be swift!